State Duma backs ban on online information disclosure for military personnel | Russian Legal Information Agency (RAPSI). 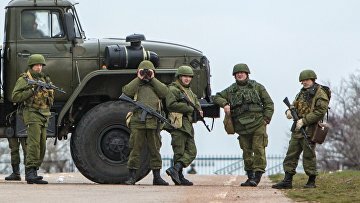 MOSCOW, November 8 (RAPSI) – The lower house of Russian parliament passed in the first reading on Thursday a bill prohibiting military personnel from disclosing information on themselves and other servicemen in media and on the Internet, a statement published on the State Duma website reads. The bill submitted by the government in September bans servicemen from disclosing information that could reveal their affiliation within military as well as their military service and service of other military personnel. The same restrictions also apply to information on activities of military units and organizations where they serve and their locations with the exceptions of cases stipulated in Russian legislation. Violation of these rules may result in disciplinary punishment or early termination of service in case if a person serves under contract. Provisions of the bill don’t apply to retired military servicemen.